Recently we’ve had new white and orange friends (frosted nudibranch) on our dock! 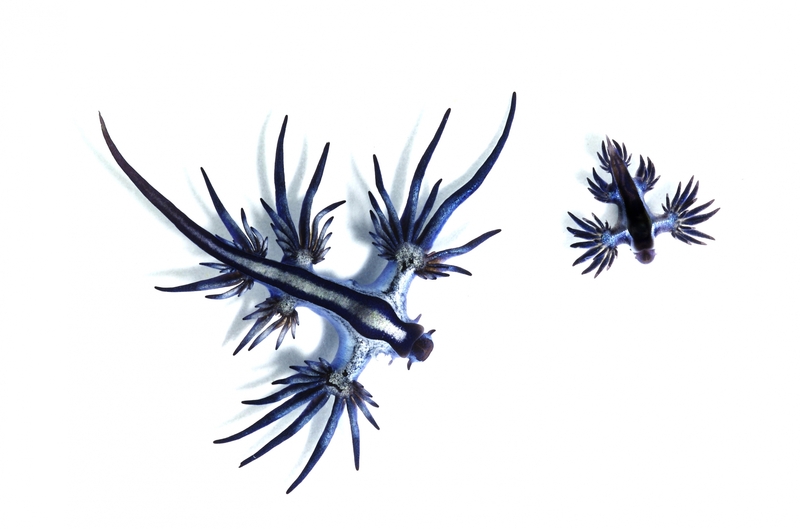 Nudibranch have over 3,000 types identified with some still being discovered! They can be found all over the world and you’d think more people would know about these glorious mollusks. These soft creatures are available in many shapes, sizes, and colors. Watching them sway, dance, and boogey across the dock post is a truly wonderful experience. Nudibranch are hard to keep in aquariums because of their specific dietary needs. Their powerful jaws are capable of cracking open snail shells and the daily menu for this carnivore ranges from algae, fish eggs, sponges, anemones, and barnacles, to even other nudibranchs! Often their diet reflects their coloring. Despite being colorful they don’t have great vision and see simply light and dark variations. These guys can live from a few weeks to a year. They move around on a foot, but some are capable of swimming a short way by flexing their muscles. Nudibranchs have both male and female reproductive organs although they cannot self-fertilize. Eggs are laid in a beautiful spiral or coiled pattern. These sea slugs undergo metamorphosis in their juvenile stage and you’ll find these guys from a quarter inch long to a foot or more. Divers often describe seeing these beautiful creatures and underwater photographers love catching a glimpse of them. In Chile and some parts of Russia and Alaska they’re roasted, boiled, or eaten raw. I’m not sure it’s highly recommendable as it’s described as chewing an eraser. These butterflies of the ocean are being studied for their ability to absorb toxins and poison to use on their prey. A particular toxic compound, Latrunculin A, has been found to be deadly to cancer cells. It’s thought that understanding these powerful skills could help lead to cancer and regenerative disease research. We can ask ourselves how these soft little creatures carry such deadly weapons without harming themselves. While some are truly poisonous some just pretend to be with bright colors. A few types make sounds that can be heard by the human ear. Certain types of Nudibranch eat algae from plants and coral before housing it inside their body. This algae is produced by photosynthesis and can power our little ocean friends for quite a while.